We're all aware that multinational corporations have so much data on us they know what we like better than we do. We also know this is at best pretty darn creepy, at worst terrifying. But with the help of willful ignorance, we click and share and stream on, because life feels better with unlimited on-demand entertainment. That's how we normally live, but not today. 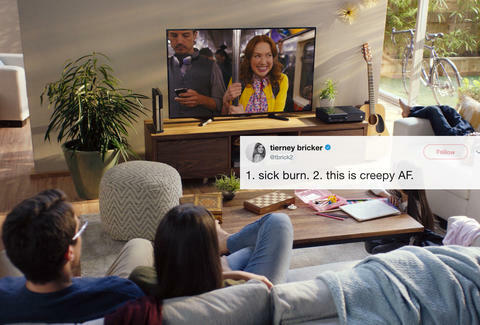 On Sunday, we received a rude awakening from Netflix itself that they know all about the true contents of our hearts, minds, and whatever organ is in charge of the binge-watching impulse. Netflix called out 53 anonymous users for watching the 2017 Netflix Original A Christmas Prince every day for the last 18 days straight. And look, someone had to say something about these wretched souls. It was just a little... creepy. The reaction from most people is best summed up in this tweet: a mix of admiration for how swift and brutal the roast was, and general horror over the comfy panopticon we've resigned ourselves to. Others marveled at a company with this much power and influence expending it on a Twitter roast. But this is our brave new world. The situation also induced general anxiety over personal streaming choices. Others weren't surprised, considering the cruel question Netflix asks us daily. But we shouldn't be thinking of ourselves at a time like this: Those poor people might still be out there watching A Christmas Prince. James Chrisman is a News Writer at Thrillist who for sure, 100% wasn't one of those people. Send news tips to news@thrillist.com and follow him on Twitter @james_chrisman2.